Delish! As you know - I'm allergic to shellfish/seafood, so I can't indulge, but I live in Florida! Shrimp and Crawfish are a way of life! When my brother goes to LA they do a crawfish overload! Hi Ann, I wish you wasn't allergic to shellfish / seafood. 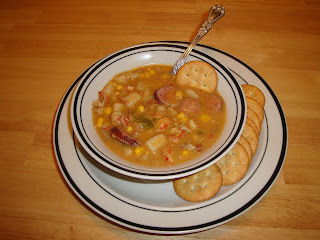 Love crawfish...Great job making it quick and easy with the canned potato soup. Hi Bo, thank you so much! Hi Mother's Secret Home Recipe's, thank you for stopping by. I've never cooked crawfish. I'm impatient for fall to arrive and for some cooler weather to arrive. I miss warm bowls of soup and fresh bread for dinner! What a delicious soup!! The smoked sausage sounds just perfect in this recipe! This looks great - perfect with the smoked sausage! Every year the Swedes in our area have a crawfish festival. I love to go and eat the Swedish food and hear their folk songs. My husband, Swedish decent, really loves crawfish. Yum-this chowder looks tasty! Also not too hard to make which is another plus. Christine I can always count on you to remind me that there is a world of food out there and there is no reason to have the same old thing every night. Great post! This thick soup as I refer to will be great as a light meal for dinner. Thanks for sharing. This soup sounds delicious! Love the crawfish info! Love this recipe-it brings back memories of fishing for crawfish in the creek with bacon tied on sticks when we were kids! Hey everyone, thanks so much for stopping by and leaving a comment. Y'all mean a lot to me. Sounds delish! And as always, great info. I'm hoping the 4 Caymanians that were rescued after 9 days at sea will get to load up on crawfish when they finally make it to shore in New Orleans :) They were picked up by a passing tanker! 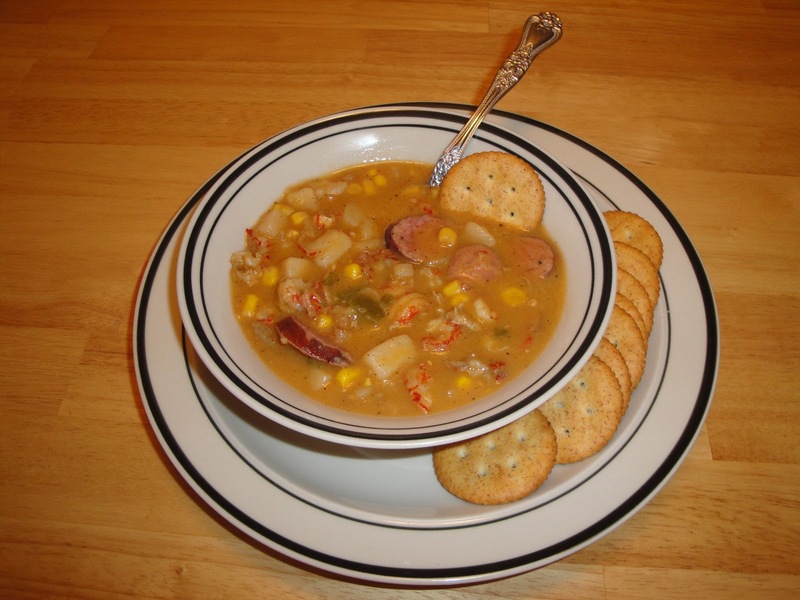 I've never tried eating crawfish chowder ah, I'll try this. Hi Parsley Sage, I didn't hear about that. I hope all are doing well. Hi Rita D K Simmons, thank you for the buzz. I LOVE THIS!!!!!!!!! !Looks so yummy! I cannot wait until it starts to cool down and make this. Chowder in the winter is where it is at!! Your crawfish chowder looks great! I'm a chowder fan in general, but have never tried it with crawfish before :) Very NOLA! I haven’t try crawfish soup though I’m a crawfish fan. It’s really wonderful to try new way of cooking crawfish. I’ll keep this recipe for the weekend.